Larsen & Toubro had won the Rs 4,500-crore contract to supply 100 units of the K9 Vajra-T 155 mm/52 calibre Tracked Self-Propelled gun systems to the Indian Army in 2017. Prime Minister Narendra Modi Saturday inaugurated the Armoured Systems Complex of Larsen and Toubro in Gujarat, the first private facility in the country where the K9 Vajra self-propelled Howitzer guns will be manufactured. L&T had in 2017 won the Rs 4,500-crore contract from the Ministry of Defence to supply 100 units of K9 Vajra-T 155 mm/52 calibre tracked self-propelled gun systems to the Indian Army under the Centre's ''Make in India'' initiative. "I congratulate the entire team of Larsen & Toubro for building the state-of-the-art K-9 Vajra Self Propelled Howitzer. This is a significant contribution towards India''s defence sector and protecting the country," PM Modi tweeted. "Boosting ''Make in India'' in the defence sector is our endeavour. I am glad that the private sector too is supporting this pursuit and making a valuable contribution," he said in another tweet. The prime minister shared a short video on his Twitter handle of himself standing in a tank. 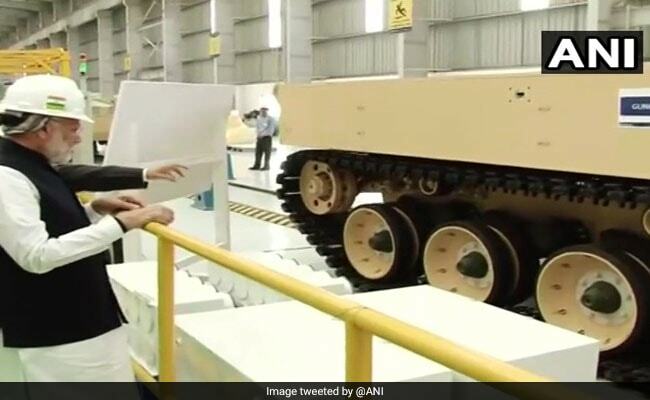 "Checking out the tanks at L&T's Armoured Systems Complex in Hazira," he said in the tweet. The company has set up the facility in Hazira, around 30km from Surat, to manufacture and integrate advanced armoured platforms, such as self-propelled artillery Howitzers, future infantry combat vehicles, future-ready combat vehicles and future main battle tanks. Spread over 40 acres within L&T's 755-acre Hazira Manufacturing Complex, the ASC is executing the K9 Vajra guns programme. The K9 Vajra contract involves delivery of 100 such systems in 42 months, which is the largest contract awarded to a private company by the Ministry of Defence. L&T had signed a transfer of technology contract for guns with South Korean company Hanwha Corporation. Present at the function were Defence Minister Nirmala Sitharaman, Minister of Defence Acquisition of the Republic of Korea Wang Jung Hong, and L&T Group Chairman A M Naik. The facility has been developed to make full-fledged battle tank manufacturing possible in India, a senior L&T Defence official told PTI. "By involving 400 SMEs and developing 13,000 parts indigenously, the company is moving in the direction of manufacturing a totally indigenous battle tank without having to depend on external help," said J D Patil, senior executive vice president, L&T Defence. "For now, we have to depend on external technology. Under the programme, we have partnered with South Korea's largest defence company Hanwha. We had offered the programme to the government and Army tested the prototype for 3.5 years. 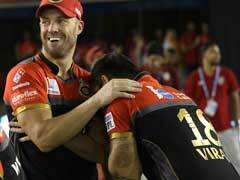 After success of the testing, the order was placed," Mr Patil said. "The gun weighs 50 tonnes and can fire 47kg bombs at a 43-kilometre distance target. It can turn around at zero radius. Fire technology system and major electronics and enhancements are indigenous," Mr Patil said. Of the total 100 tanks, 10 have been delivered by September last year. The company also tests tanks at its armoured systems complex in Hazira by running it for 80-100 kilometres in different simulated terrains, he said. "The biggest benefit of the indigenisation process is to the Army, which will not have to depend on foreign nations for spare parts during its 40-year life cycle. The Army''s life cycle cost will be drastically reduced and we will not be held ransom by any country," Mr Patil said. L&T's ASC in Hazira is the first manufacturing facility in the private sector to produce advanced armoured platforms for the defence sector. This is the 10th manufacturing unit of the technology, engineering, construction, defence and services conglomerate.